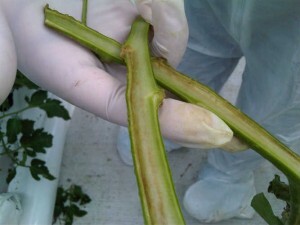 Bacterial canker, caused by Clavibacter michiganensis subsp. 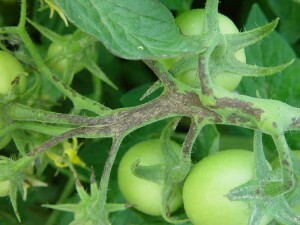 michiganensis is a sporadic but serious tomato disease in the Midwest. 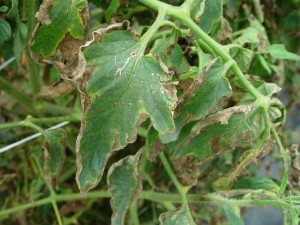 Bacterial canker is a vascular disease and extremely difficult to manage once a plant is infected with the pathogen. 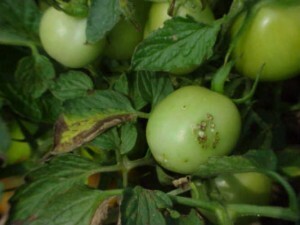 Early recognition of the disease is essential to preventing disease spread. 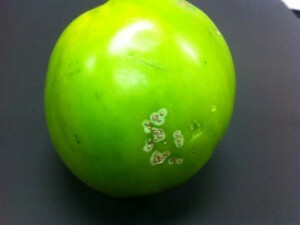 Symptoms include marginal leaf lesions with chlorosis, wilting and bird’s eye fruit spots. 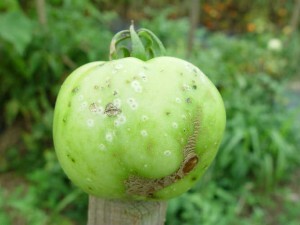 Pictures of Bacterial Canker on Tomato.